(Nanowerk News) You benefit from plastic from the moment you get up and use your toothbrush or kettle. Plastic is embedded in agriculture – and it keeps you alive if you end up in hospital. Even some of our money is made from it. Yet I can’t watch the news without being bombarded by the evils of plastic. 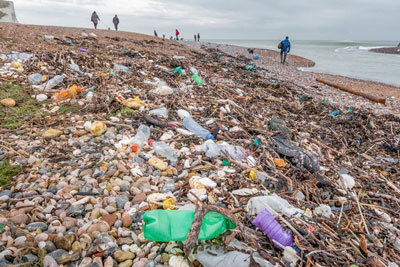 As a polymer scientist, it feels like my life’s work is dismissed as immoral by even my hero Sir David Attenborough, simply because I deal with plastics. 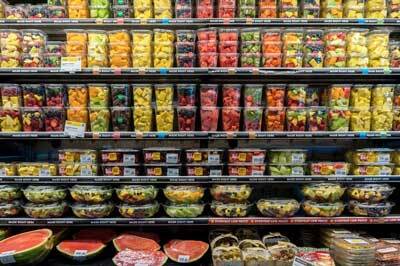 Packaged fruit and vegetables are egregious examples of excess plastic because they already come in a protective skin. Bananas already come in a perfectly designed wrapper – individuals can be snapped off a from a bigger pack, the skin splits length ways to expose the product, and it is truly biodegradable. Prepacked orange segments, meanwhile, last about four days whereas a whole orange can last months (Journal of Food Quality, "Passive Modified Atmosphere Packaging Extends Shelf Life of Enzymatically and Vacuum-Peeled Ready-to-Eat Valencia Orange Segments"). Compare the environmental lifetime of orange peel (months) and polyethylene (effectively eternity) – all for the convenience of not peeling an orange. Such packaging serves little practical purpose, yet only a minority of supermarket fresh fruit and veg is offered “loose”.